Breakfast is the most important meal of the day and a great way to jump start your day. It isn't every morning that I find myself having time to sit down and eat breakfast (unless it's a day off or on the weekends) and these also tend to be the days that I'm hungriest in the morning, go figure! 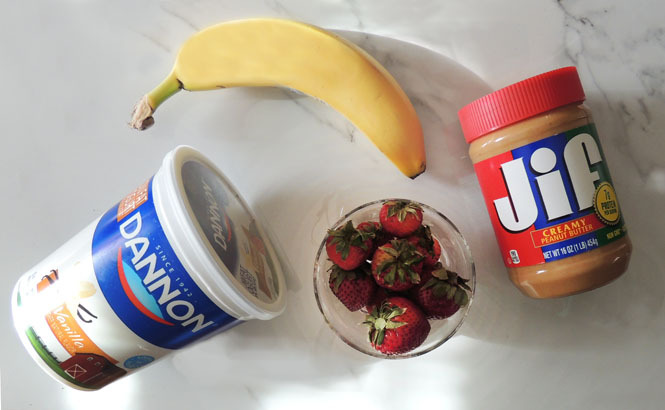 My two go-to ingredients for breakfasts that are quick, easy to make and east to grab and go are Jif™ Creamy Peanut Butter and Dannon Vanilla Lowfat Yogurt. These are two ingredients that are used for so many different types of recipes, but my favorite are smoothies. All sorts of smoothies are one of my favorite things to eat at ALL times of the day! 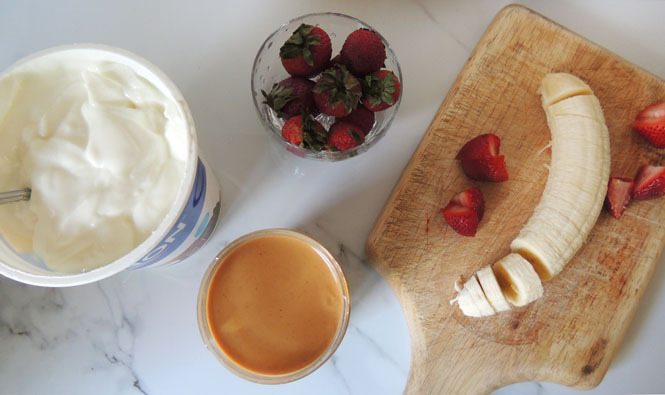 Not only are peanut butter and yogurt two of the yummiest things ever, they're also so good for you and the best way to get your day started. Any meal that includes peanut butter and yogurt will be so energizing too. Having a breakfast option that is easy to make in a rush and portable is important for a lot of us - and smoothies are just that! 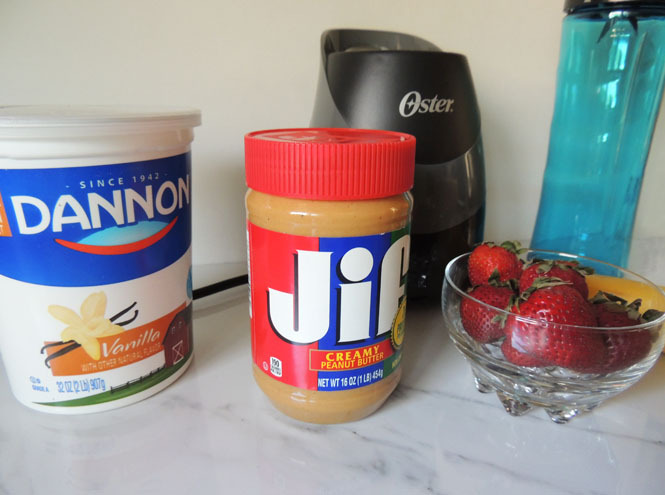 Jif peanut butter and Dannon Vanilla Lowfat Yogurt are super easy to find - especially at Walmart - and the best to use for this recipe. 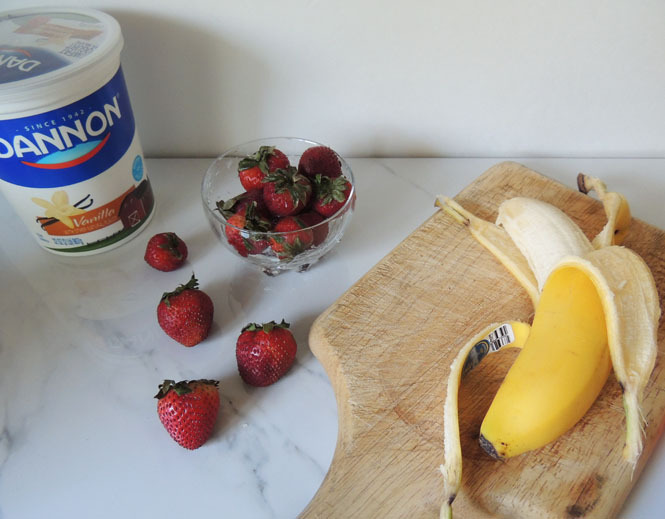 The best part is this is a super inexpensive smoothie to make - especially when you use the Jif and Dannon Combo Rebate from Ibotta! 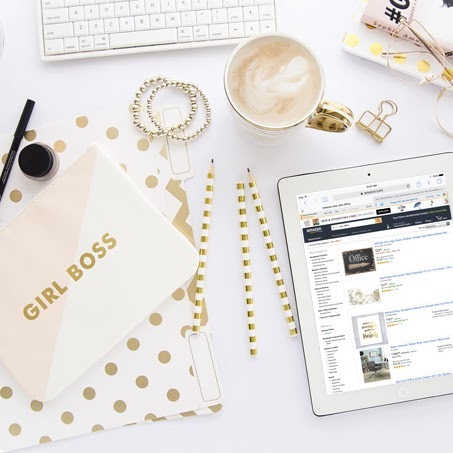 If you haven't heard of Ibotta, I highly recommend signing up - you essentially make money by spending money! You can get $1.50 cash back with this rebate, making the smoothie nearly free to make. It's pretty easy to change the proportion sizes for this recipe; this just tends to be the perfect amount for me, fits perfectly in the to-go blender and fills me up as a breakfast option. Start by cutting up the fruit and measuring the peanut butter and yogurt. If you choose to add avocado, take a slice (or tablespoon if mashed, whichever works) and add that to your ingredient pile too. 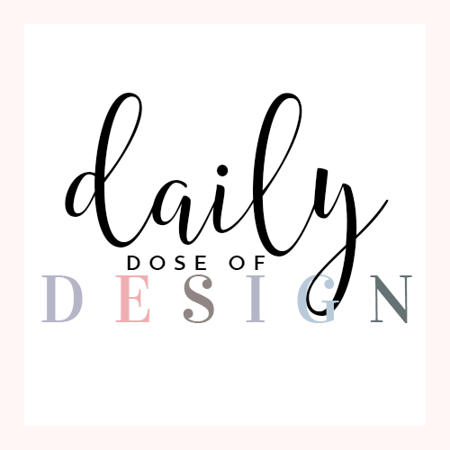 I have a serious avocado addiction and the fact that they are a super food and are so good for you make it even better, because lets be honest it isn't every day that I come across a favorite food that's this good for you! ; ) You really can't taste it in this smoothie, and all it does is make the smoothie even healthier and a great better-for-you breakfast option to start your day in a great way. Add all of the ingredients to your blender. This is when you can decide if you have enough of each ingredient; the best part about this recipe is that proportions don't really matter all that much... 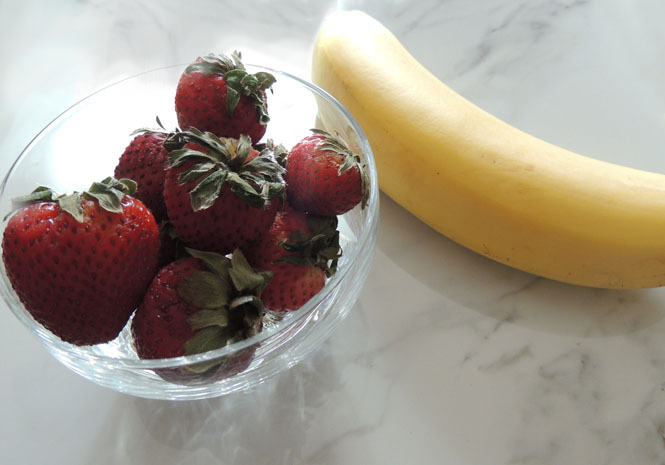 If you like strawberries more than banana, add more of them, and vice versa. 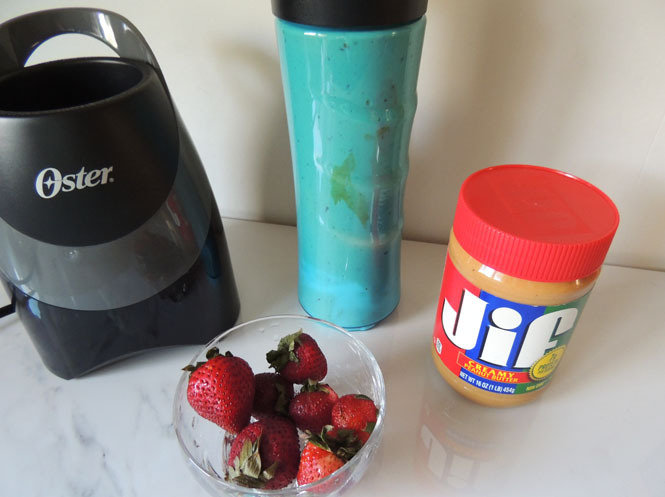 The Jif™ Creamy Peanut Butter is my go-to brand of peanut butter; whether you're having it in a smoothie, as a snack or on a sandwich, it's the perfect combination of creamy and freshly roasted peanuts. It's also gluten free, has 7 grams of protein, is non-GMO and has no genetically modified ingredients - exactly why it's so perfect for breakfast! It also kicks your metabolism into high gear and is a great energy booster for the morning. Buying the quart-sized Dannon Vanilla All Natural Lowfat Yogurt is always the way to go for me because it's something I eat so much of and always lasts me the entire week! Yogurt is my snack of choice and the perfect alternative to milk or ice cream in a smoothie. 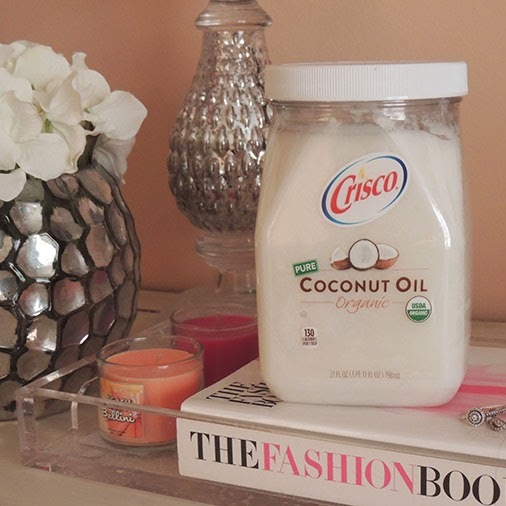 It's such a great food choice and is SO yummy, especially in this vanilla flavor. This, too, is made with all natural ingredients and even makes for a great cooking substitute for other recipes. 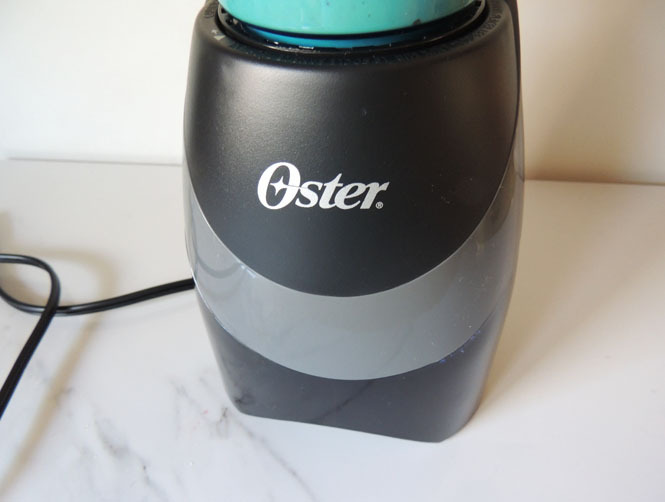 This Oster® Blend-N-Go® MyBlend® Blender has been a life saver in terms of saving time AND it's super convenient too! This is by far the easiest way to easily measure and decide how to create your portions of each ingredient. Since most mornings that I make this smoothie are the ones I'm busiest and am rushing out the door, being able to fill, blend and go is a huge lifesaver. 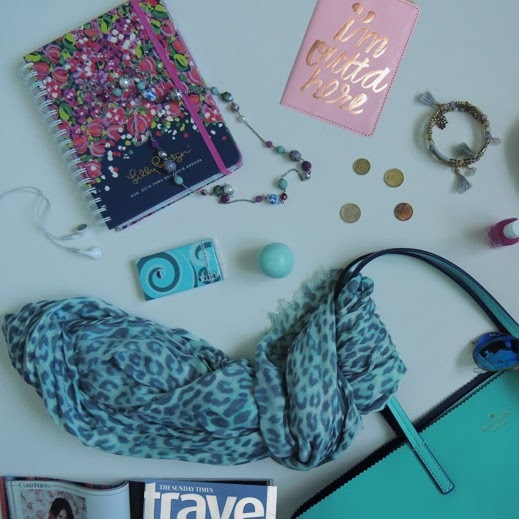 It's also been so great to have in traveling with my smoothie and taking it to go on my way to school or when I'm running errands. 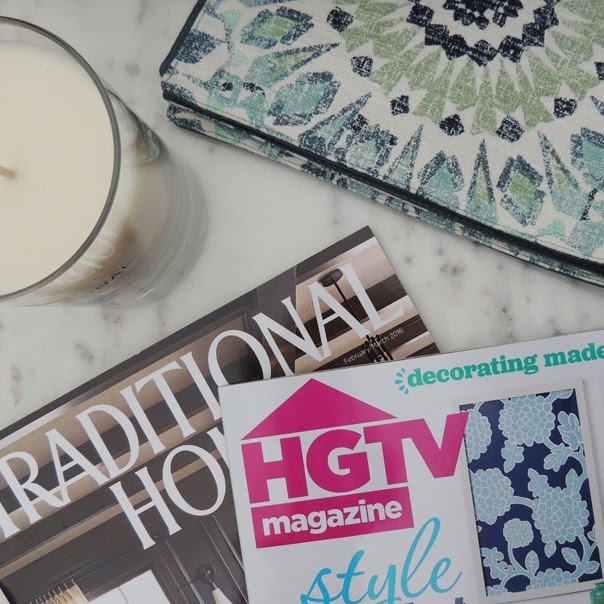 If you aren't in a rush, get a cute cup and pretty paper straw and sit back, relax and enjoy your smoothie! Another option for this smoothie if you're having it as a mid-day snack or in the evening is adding a couple drops of chocolate syrup and whipped cream. Still super good for you and gives it an extra dose of yummyness! Smoothies are the best breakfast option in my opinion, especially since they can be made in so many different ways and can be enjoyed all year long and for any meal! What's in your favorite breakfast smoothie? This sounds great. I love easy breakfasts! I don't really care for bananas, but found that I do enjoy them in smoothies....especially with peanutbutter involved! yumm, I'll have to try this! If I'm not eating local, pastured eggs, I'm drinking a smoothie. I like to add leafy greens to my banana-berry smoothie and my base is either almond milk or coconut milk. Adding PB is a good addition as it offers plant protein. I mix mine with PB and my plant based protein powder. YUM!! I have a green smoothie almost every morning, but sometimes I get bored with the same recipe. Can't wait to try out something new. Love a blend of strawberry and banana. My favorite smoothie ever! Although, I don't put peanut butter in it - maybe I'll try that next time. 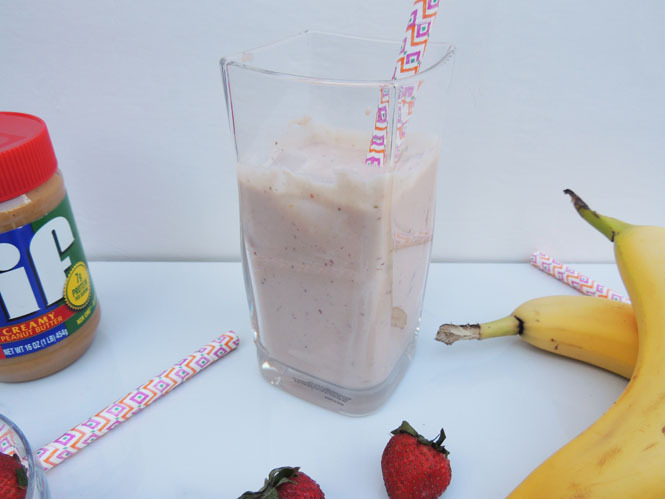 You can't ever go wrong with a strawberry banana smoothie! I would have never thought to put peanut butter in this, but this sounds like the perfect combination. Can't wait to give it a try! That looks so good! 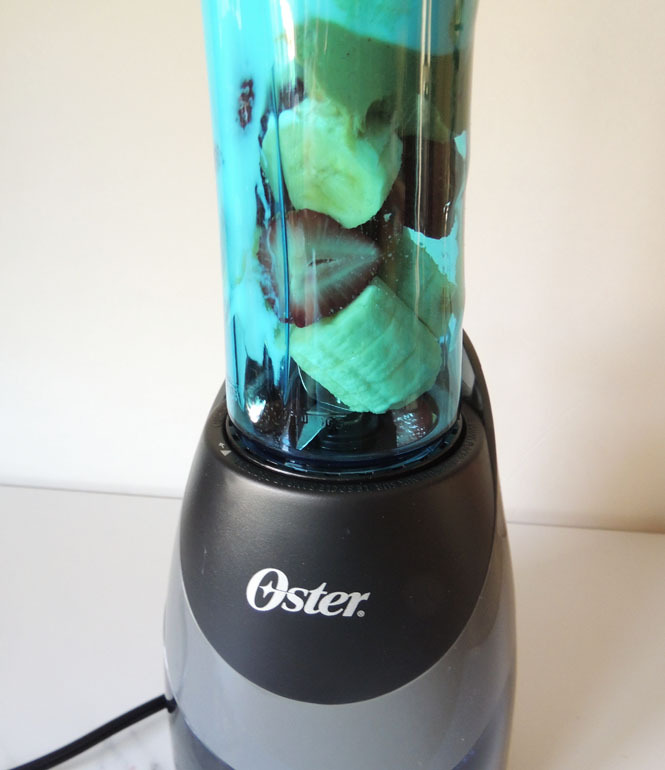 I know this is crazy, but I don't have a blender, haha! Last year I moved across the country and that's one of the few items that didn't make the trip I guess. I've been putting off buying one forever, but I really should just bite the bullet. I need to be able to make this! Yum! My cousin is OBSESSED with breakfast smoothies so this is something she'll love. It looks so good! I love blending fruits together in my smoothies especially when I'm adding yogurt. 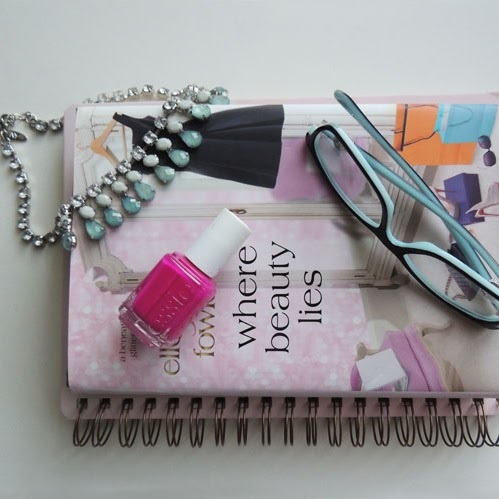 These are the perfect combination. I've never tried adding a hint of peanut butter though, I suppose that makes everything taste a lot better. Thanks for sharing the recipe! Oh yum! 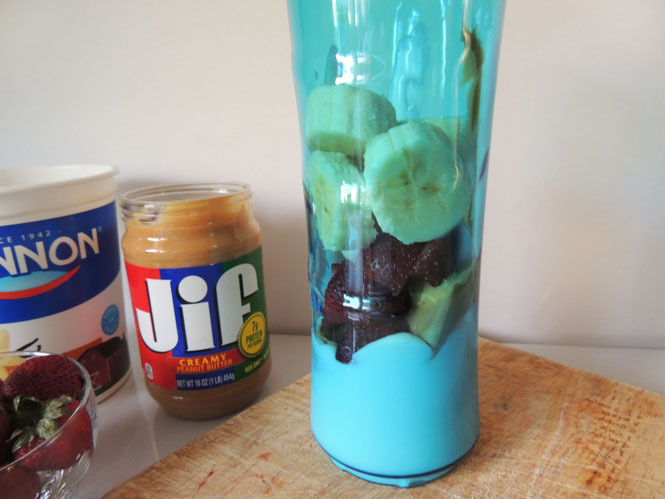 I've never thought to put PB in my smoothies, great idea! OMG this combo sounds incredible! Peanut butter too! OOOO YUMM! That's a perfectly delicious way to start a day. I love Jif peanut butter! OOOOH this sounds *so* yummy!!! I love the PB addition...that's right up my alley for sure!! That looks so good! I would love to try this tomorrow for breakfast. Thanks! My favorite kind of smoothie. You can never go wrong with bananas and strawberries. This sounds so amazing..YUM! Your photos are always so great..I hope I get to come to NYC soon..so we can visit over a smoothie! Smoothies are a great way to get your breakfast on and improve your nutrition. Thanks for the recipes. Can I have one now please!!! It is much needed this afternoon. lol :) this looks delicious. I will be making this soon. Thanks. Oh my, I so love this. Looks very tasty and flavorful! I love smoothies, and this one looks really good. Thanks for the recipe. I love a good smoothie. This one sounds and looks amazing! Some of my favorite ingredients! That looks so good. Strawberry banana smoothies are some of the best. I have never added PB though...IM on it! My Mom absolutely loves both bananas and smoothies. I bet she'd enjoy this one! I drink a smoothie every morning for breakfast. Your smoothie recipe sounds delicious. I often make strawberry banana smoothies but never though of adding a slice of avocado to it. My kids are obsessed with smoothies!! I have not put peanut butter in theirs before I will have to try that next time! I worked in colleges at a smoothie place. I have never lost my love for them. Love your avocado addition. Yum! That looks dee-lish! 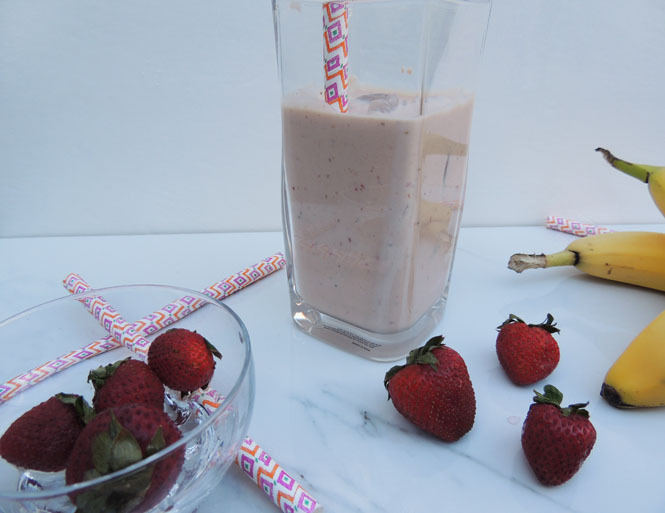 My kids would just go crazy for this smoothie, and I love the little blender! This is so delicious and yummy! Really perfect for summer. Thanks! mmmmm, perfect for a busy morning on the go! This looks delicious! I've done strawberry banana but I don't think I've ever added in peanut butter... I have to try this for sure! I have been on a huge smoothie kick lately and strawberry is one of my faves! I never throughout to throw some peanut butter in it! Great idea!! 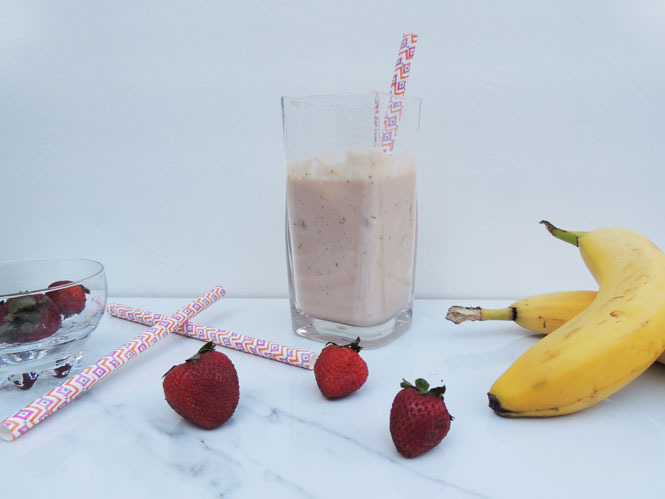 Rise and shine smoothie sound so delicious....Strawberry & banana a winning combination and great breakfast treat. I'm seriously about to get up and make this right now. My hubby just had surgery near his temple, and can't chew much - he will love this! Thank you! Having good eating habit is the best way to stay fit and healthy. Breakfast plays an important role in our fitness. I think we need to add hgh supplement in our daily meal. It will helps to maintain your physical performance. Banana is one of the best sources of carbs. Also a single banana can provide us sufficient calories and also has slight amount of fat. 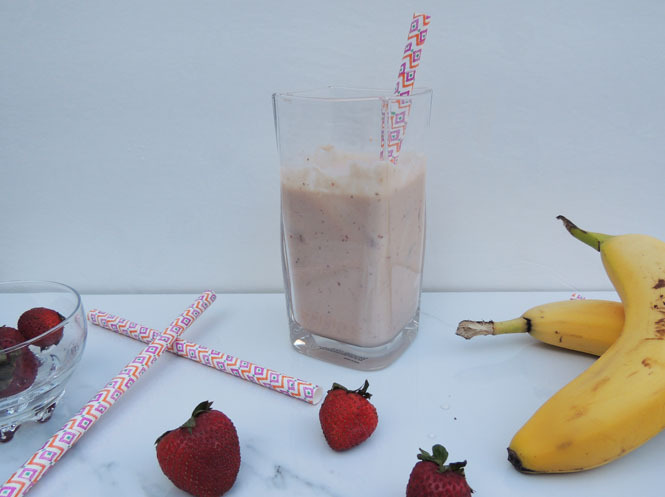 So the daily consumption of this banana strawberry smoothie with Xtreme no bodybuilding supplement could be the perfect treat to all fitness freaks.